How time and our spacecraft fly – especially when you’re making history at 32,000 miles (51,500 kilometers) per hour. Continuing on its path through the outer regions of the solar system, NASA’s New Horizons spacecraft has now traveled half the distance from Pluto – its storied first target – to 2014 MU69, the Kuiper Belt object (KBO) it will fly past on Jan. 1, 2019. The spacecraft reached that milestone at midnight (UTC) on April 3 – or 8 p.m. ET on April 2 – when it was 486.19 million miles (782.45 million kilometers) beyond Pluto and the same distance from MU69. “It’s fantastic to have completed half the journey to our next flyby; that flyby will set the record for the most distant world ever explored in the history of civilization,” said Alan Stern, New Horizons principal investigator from the Southwest Research Institute in Boulder, Colorado. Later this week – at 21:24 UTC (or 5:24 p.m. ET) on April 7 – New Horizons will also reach the halfway point in time between closest approaches to Pluto, which occurred at 7:48 a.m. ET on July 14, 2015, and MU69, predicted for 2 a.m. ET on New Year’s Day 2019. The nearly five-day difference between the halfway markers of distance and time is due to the gravitational tug of the sun. The spacecraft is actually getting slightly slower as it pulls away from the sun’s gravity, so the spacecraft crosses the midpoint in distance a bit before it passes the midpoint in time. New Horizons will begin a new period of hibernation later this week. In fact, the spacecraft will be sleeping through the April 7 halfway timing marker to MU69, because mission operators at the Johns Hopkins Applied Physics Laboratory (APL) in Laurel, Maryland, will have put the spacecraft into hibernation two hours beforehand. The scheduled 157-day hibernation is well-deserved; New Horizons has been “awake” for almost two and a half years, since Dec. 6, 2014. Since then, in addition to its historic Pluto encounter and 16 subsequent months of relaying the data from that encounter back to Earth, New Horizons has made breakthrough, distant observations of a dozen Kuiper Belt objects (KBOs), collected unique data on the dust and charged-particle environment of the Kuiper Belt, and studied the hydrogen gas that permeates the vast space surrounding the sun, called the heliosphere. New Horizons is currently 3.5 billion miles (5.7 billion kilometers) from Earth; at that distance, a radio signal sent from the operations team – and traveling at light speed – needs about five hours and 20 minutes to reach the spacecraft. All spacecraft systems are healthy and operating normally, and the spacecraft is on course for its MU69 flyby. Follow the voyage at http://pluto.jhuapl.edu/Mission/Where-is-New-Horizons/index.php, and get the latest news and images from the mission on Facebook, Twitter and the NASA and mission team websites. Dwarf planets tend to be a mysterious bunch. With the exception of Ceres, which resides in the main asteroid belt between Mars and Jupiter, all members of this class of minor planets in our solar system lurk in the depths beyond Neptune. They are far from Earth – small and cold – which makes them difficult to observe, even with large telescopes. So it’s little wonder astronomers only discovered most of them in the past decade or so. Pluto is a prime example of this elusiveness. Before NASA’s New Horizons spacecraft visited it in 2015, the largest of the dwarf planets had appeared as little more than a fuzzy blob, even to the keen-eyed Hubble Space Telescope. Given the inherent challenges in trying to observe these far-flung worlds, astronomers often need to combine data from a variety of sources in order to tease out basic details about their properties. Recently, a group of astronomers did just that by combining data from two space observatories to reveal something surprising: a dwarf planet named 2007 OR10 is significantly larger than previously thought. The results peg 2007 OR10 as the largest unnamed world in our solar system and the third largest of the current roster of about half a dozen dwarf planets. The study also found that the object is quite dark and rotating more slowly than almost any other body orbiting our sun, taking close to 45 hours to complete its daily spin. For their research, the scientists used NASA’s repurposed planet-hunting Kepler space telescope — its mission now known as K2 — along with the archival data from the infrared Herschel Space Observatory. Herschel was a mission of the European Space Agency with NASA participation. The research paper reporting these results is published in The Astronomical Journal. “K2 has made yet another important contribution in revising the size estimate of 2007 OR10. But what’s really powerful is how combining K2 and Herschel data yields such a wealth of information about the object’s physical properties,” said Geert Barentsen, Kepler/K2 research scientist at NASA’s Ames Research Center in Moffett Field, California. The revised measurement of the planet’s diameter, 955 miles (1,535 kilometers), is about 60 miles (100 kilometers) greater than the next largest dwarf planet, Makemake, or about one-third smaller than Pluto. Another dwarf planet, named Haumea, has an oblong shape that is wider on its long axis than 2007 OR10, but its overall volume is smaller. Like its predecessor mission, K2 searches for the change in brightness of distant objects. The tiny, telltale dip in the brightness of a star can be the signature of a planet passing, or transiting, in front. But, closer to home, K2 also looks out into our solar system to observe small bodies such as comets, asteroids, moons and dwarf planets. Because of its exquisite sensitivity to small changes in brightness, Kepler is an excellent instrument for observing the brightness of distant solar system objects and how that changes as they rotate. Figuring out the size of small, faint objects far from Earth is tricky business. Since they appear as mere points of light, it can be a challenge to determine whether the light they emit represents a smaller, brighter object, or a larger, darker one. This is what makes it so difficult to observe 2007 OR10 — although its elliptical orbit brings it nearly as close to the sun as Neptune, it is currently twice as far from the sun as Pluto. Enter the dynamic duo of Kepler and Herschel. Previous estimates based on Herschel data alone suggested a diameter of roughly 795 miles (1,280 kilometers) for 2007 OR10. However, without a handle on the object’s rotation period, those studies were limited in their ability to estimate its overall brightness, and hence its size. The discovery of the very slow rotation by K2 was essential for the team to construct more detailed models that revealed the peculiarities of this dwarf planet. The rotation measurements even included hints of variations in brightness across its surface. Together, the two space telescopes allowed the team to measure the fraction of sunlight reflected by 2007 OR10 (using Kepler) and the fraction absorbed and later radiated back as heat (using Herschel). Putting these two data sets together provided an unambiguous estimation of the dwarf planet’s size and how reflective it is. According to the new measurements, the diameter of 2007 OR10 is some 155 miles (250 kilometers) larger than previously thought. The larger size also implies higher gravity and a very dark surface — the latter because the same amount of light is being reflected by a larger body. This dark nature is different from most dwarf planets, which are much brighter. Previous ground-based observations found 2007 OR10 has a characteristic red color, and other researchers have suggested this might be due to methane ices on its surface. As for when 2007 OR10 will finally get a name, that honor belongs to the object’s discoverers. Astronomers Meg Schwamb, Mike Brown and David Rabinowitz spotted it in 2007 as part of a survey to search for distant solar system bodies using the Samuel Oschin Telescope at Palomar Observatory near San Diego. Nature is a common theme in Canadian literature, with desolate, remote landscapes often playing a role. It should come as no surprise, then, that Canada had a hand in writing the latest chapter in the story of Pluto, the most desolate and remote landscape ever explored. To mark the first Canada Day (July 1) since the Pluto flyby, I wanted to share some of the ways that Canadian efforts have supported the New Horizons mission to Pluto and beyond. A number of New Horizons team members are from Canada or were trained there in one way or another. I studied for my PhD at the University of Victoria in British Columbia; my PhD was in astrophysics, a field in which Canada is renowned as a global leader. 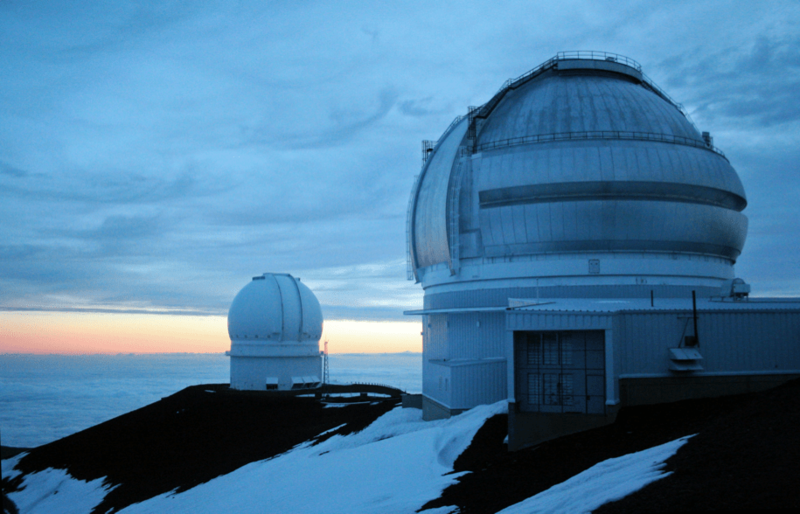 Canada’s national partnership in the twin 8-meter Gemini observatories allowed me to pursue research in planetary astronomy, pushing the limits of what can be done with ground-based astronomical imaging without adaptive optics to explore the properties of binary systems in the Kuiper Belt. It was this work that prepared me for and eventually steered me toward the New Horizons mission, where I joined the team that discovered 2014 MU69, the post-Pluto target for a potential New Horizons extended mission. Perhaps the most crucial Canadian contributions are in an area with a very long history: navigating a ship by the stars. During New Horizons’ approach to Pluto last year, it was a made-in-Canada star map that helped guide the way. National Research Council (NRC) of Canada scientists at the Canadian Astronomy Data Centre (CADC) in British Columbia used data collected from the Canada-France-Hawaii Telescope (CFHT) to assemble a detailed navigational star map for the mission, which was used by the Navigation and Hazards teams to keep the spacecraft on-course and safe from harm. Dr. Stephen Gwyn and Dr. JJ Kavelaars, both at the NRC-CADC, have worked to support the New Horizons mission for years. JJ Kavelaars was my PhD supervisor, and both he and Stephen Gwyn taught me much of what I know about the astrometric and image processing techniques needed to find and track New Horizons’ potential post-Pluto target, 2014 MU69. Gwyn developed and maintains MegaPipe, the data processing service that helps turn raw CFHT images into precisely-calibrated star maps, among other things. Using data collected from CFHT’s extremely well-calibrated MegaCam imager especially for the Pluto mission, Gwyn created a catalog the stars that would stand as a backdrop for Pluto during the flyby. The purpose of the catalog was to provide extremely precise locations and properties of the stars that would appear in New Horizons images on approach, so they could be used as navigational aids. Frédéric Pelletier, a former Canadian Space Agency engineer from Quebec, was the KinetX Deputy Navigation Team Chief for the Pluto flyby. He and his team compared imagery from New Horizons to the CFHT star map to determine exactly the path that New Horizons was on with respect to Pluto, and adjust its course to achieve the planned flyby. The targeting was precise enough to fly New Horizons through the shadows of both Pluto and Charon. This allowed New Horizons to examine Pluto’s atmosphere backlit by the sun, and perform detailed analysis of its chemical makeup. The Atmospheres science team is led by Dr. Randy Gladstone at SwRI, who grew up in Canada and attended the University of British Columba. Both Gwyn and Kavelaars are involved in our continued tracking of 2014 MU69, providing their expertise on matters of extremely high-precision astrometry of both stars and Kuiper Belt Objects. The CFHT star map is still in use for determining the precise orbit of 2014 MU69, and Kavelaars has led a Gemini Observatory program to track and refine the orbits of many other Kuiper Belt objects that New Horizons would study at long range during an extended mission. If an extended mission is approved, these efforts will continue to help New Horizons find its way into the unknown as it flies to worlds in the outer solar system more distant than have ever been explored. The spacecraft has now twice observed 1994 JR1, a Kuiper Belt object orbiting more than 3 billion miles from the Sun. Warming up for a possible extended mission as it speeds through deep space, NASA’s New Horizons spacecraft has now twice observed 1994 JR1, a 90-mile-wide (145 kilometers) Kuiper Belt object (KBO) orbiting more than 3 billion miles (5 billion km) from the Sun. Science team members have used these observations to reveal new facts about this distant remnant of the early solar system. Taken with the spacecraft’s Long Range Reconnaissance Imager (LORRI) on April 7-8 from a distance of about 69 million miles (111 million km), the images follow on observations from November 2015, when New Horizons detected JR1 from 170 million miles (280 million km) away. Simon Porter, a New Horizons science team member from the Southwest Research Institute (SwRI) in Boulder, Colorado, said the observations contain several valuable findings. “Combining the November 2015 and April 2016 observations allows us to pinpoint the location of JR1 to within 600 miles (1,000km), far better than any small KBO,” he said, adding that the more accurate orbit also allows the science team to dispel a theory, suggested several years ago, that JR1 is a quasi-satellite of Pluto. Spencer added that these observations are great practice for possible close-up looks at about 20 more ancient Kuiper Belt objects that may come in the next few years, should NASA approve an extended mission. New Horizons flew through the Pluto system on July 14, 2015, making the first close-up observations of Pluto and its family of five moons. The spacecraft is on course for an ultra-close flyby of another Kuiper Belt object, 2014 MU69, on January 1, 2019. Warming up for a possible extended mission as it speeds through deep space, NASA’s New Horizons spacecraft has now twice observed 1994 JR1, a 90-mile-wide (145-kilometer-wide) Kuiper Belt object (KBO) orbiting more than 3 billion miles (5 billion kilometers) from the sun. Science team members have used these observations to reveal new facts about this distant remnant of the early solar system. Taken with the spacecraft’s Long Range Reconnaissance Imager (LORRI) on April 7-8 from a distance of about 69 million miles (111 million kilometers), the images shatter New Horizons’ own record for the closest-ever views of this KBO in November 2015, when New Horizons detected JR1 from 170 million miles (280 million kilometers) away. Simon Porter, a New Horizons science team member from Southwest Research Institute (SwRI) in Boulder, Colorado, said the observations contain several valuable findings. “Combining the November 2015 and April 2016 observations allows us to pinpoint the location of JR1 to within 1,000 kilometers (about 600 miles), far better than any small KBO,” he said, adding that the more accurate orbit also allows the science team to dispel a theory, suggested several years ago, that JR1 is a quasi-satellite of Pluto. Spencer added that these observations are great practice for possible close-up looks at about 20 more ancient Kuiper Belt objects that may come in the next few years, should NASA approve an extended mission. New Horizons flew through the Pluto system on July 14, 2015, making the first close-up observations of Pluto and its family of five moons. The spacecraft is on course for an ultra-close flyby of another Kuiper Belt object, 2014 MU69, on Jan. 1, 2019. 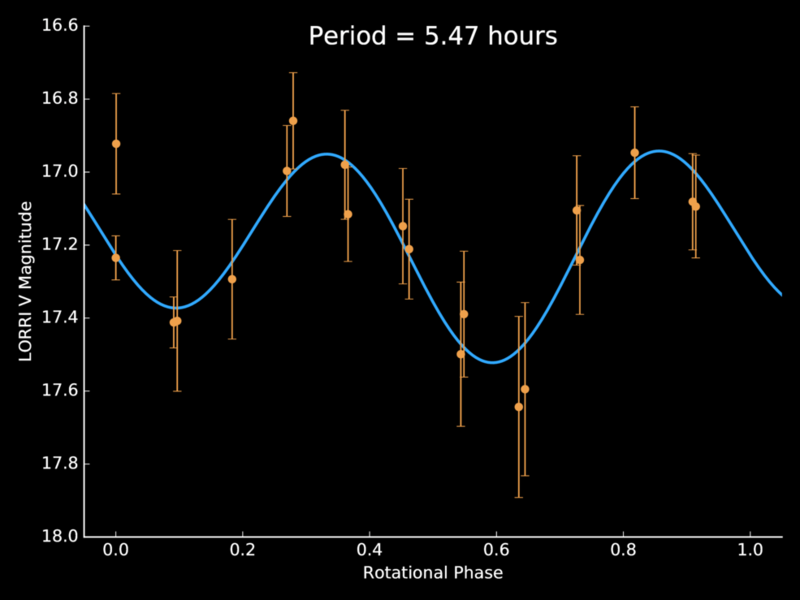 New Horizons scientists used light curve data – the variations in the brightness of light reflected from the object’s surface – to determine JR1’s rotation period of 5.4 hours. This is according to the first analysis of Pluto’s interaction with the solar wind, funded by NASA’s New Horizons mission and published* today in the Journal of Geophysical Research – Space Physics by the American Geophysical Union (AGU). The public should know soon if NASA’s New Horizons spacecraft will get to perform a second epic flyby in the dark depths of the outer solar system. New Horizons team members have officially submitted an extended-mission proposal for the probe, which captured the first-ever up-close looks at Pluto during a historic flyby of the dwarf planet last July. NASA is now evaluating the proposal and will decide by June or July whether to approve and fund this “Kuiper Belt Extended Mission” (KEM), said New Horizons principal investigator Alan Stern. The KEM—so named because it would continue to explore the Kuiper Belt, the ring of icy bodies beyond Neptune’s orbit—would send New Horizons zooming past a small object known as 2014 MU69 on Jan. 1, 2019. “The planned flyby will approach MU69 to about 1,900 miles (3,000 kilometers), which is about four times closer than we flew past Pluto,” Stern, who’s based at the Southwest Research Institute in Boulder, Colorado, wrote in a blog post last week. The 2014 MU69 object is between 13 and 25 miles (21 and 40 km) wide. So the object is about 1,000 times more massive than Comet 67P/Churyumov–Gerasimenko, which Europe’s Rosetta spacecraft has been orbiting since August 2014, and about 500,000 times less massive than Pluto, Stern said. If NASA green lights the KEM, New Horizons will study 2014 MU69—which lies about 1 billion miles (1.6 billion km) beyond Pluto’s orbit—with all seven of the probe’s science instruments, characterizing the object’s surface, and searching for moons and an atmosphere, among other activities. But the KEM wouldn’t just be about the 2014 MU69 close encounter. For example, New Horizons would also conduct 16 to 20 “distant flybys” of other Kuiper Belt objects (KBOs) and search for rings around a number of KBOs from 2016 through 2020, Stern wrote. When NASA’s New Horizons sped past Pluto on July 14, 2015, it took the best-ever pictures of the rocky world’s surface, giving us new insight into its geology, composition and atmosphere. These stunning images are the most famous result of New Horizons, but the spacecraft also sent back over three years’ worth of measurements of the solar wind – the constant flow of solar particles that the sun flings out into space – from a region that has been visited by only a few spacecraft. This unprecedented set of observations give us a peek into an almost entirely unexplored part of our space environment – filling a crucial gap between what other missions see closer to the sun and what the Voyager spacecraft see further out. A new study to appear in The Astrophysical Journal Supplement lays out New Horizons’ observations of the solar wind ions that it encountered on its journey. Space environment data collected by New Horizons over a billion miles of its journey to Pluto will play a key role in testing and improving models of the space environment throughout the solar system. This visualization is one example of such a model: It shows the simulated space environment out to Pluto a few months before New Horizons’ closest approach. 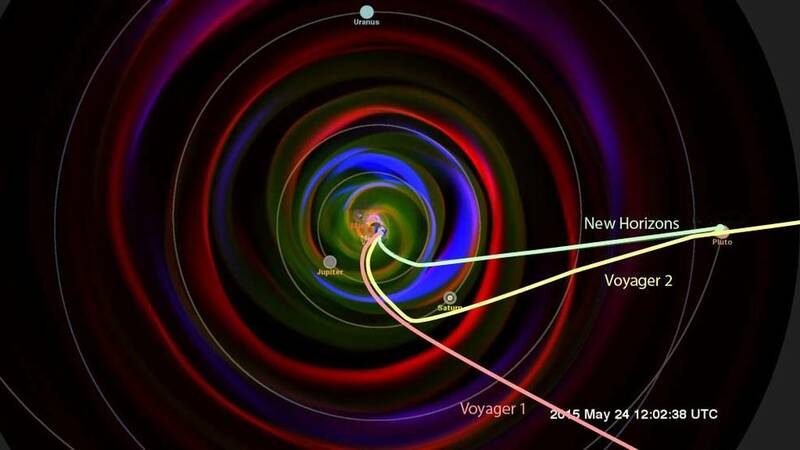 Drawn over the model is the path of New Horizons up to 2015, as well as the current direction of the two Voyager spacecraft – which are currently at three or four times New Horizons’ distance from the sun. The solar wind that New Horizons encountered will reach the Voyager spacecraft about a year later. Not only does the New Horizons data provide new glimpses of the space environment of the outer solar system, but this information helps round out our growing picture of the sun’s influence on space, from near-Earth effects to the boundary where the solar wind meets interstellar space. The new data shows particles in the solar wind that have picked up an initial burst of energy, an acceleration boost that kicks them up just past their original speed. These particles may be the seeds of extremely energetic particles called anomalous cosmic rays. When these super-fast, energetic rays travel closer to Earth, they can pose a radiation hazard to astronauts. Further away, at lower energies, the rays are thought to play a role at shaping the boundary where the solar wind hits interstellar space – the region of our solar system that Voyager 2 is currently navigating and observing. Space environment data collected by New Horizons over a billion miles of its journey to Pluto will play a key role in testing and improving models of the space environment throughout the solar system. This visualization is one example of such a model: It shows the simulated space environment out to Pluto a few months before New Horizons’ closest approach. Though space is about a thousand times emptier than even the best laboratory vacuums on Earth, it’s not completely devoid of matter – the sun’s constant outflow of solar wind fills space with a thin and tenuous wash of particles, fields, and ionized gas known as plasma. This solar wind, along with other solar events like giant explosions called coronal mass ejections, influences the very nature of space and can interact with the magnetic systems of Earth and other worlds. Such effects also change the radiation environment through which our spacecraft – and, one day, our astronauts headed to Mars – travel. New Horizons measured this space environment for over a billion miles of its journey, from just beyond the orbit of Uranus to its encounter with Pluto. This plan yielded three years of near-continuous observations of the space environment in a region of space where only a handful of spacecraft have ever flown, much less captured detailed measurements. Since the sun is the source of the solar wind, events on the sun are the primary force that shapes the space environment. Shocks in the solar wind – which can create space weather, such as auroras, on worlds with magnetic fields – are created either by fast, dense clouds of material called coronal mass ejections, or CMEs, or by the collision of two different-speed solar wind streams. These individual features are discernible in the inner solar system – but New Horizons didn’t see the same level of detail. The New Horizons data show that the space environment in the outer solar system has less detailed structure than space closer to Earth, since smaller structures tend to be worn down or clump together as they travel outwards, creating fewer – but bigger – features. Subtler signs of the sun’s influence are also harder to spot in the outer solar system. Characteristics of the solar wind – including speed, density, and temperature – are shaped by the region of the sun it flows from. As the sun and its different wind-producing regions rotate, patterns form. New Horizons didn’t see patterns as defined as they are when closer to the sun, but nevertheless it did spot some structure. 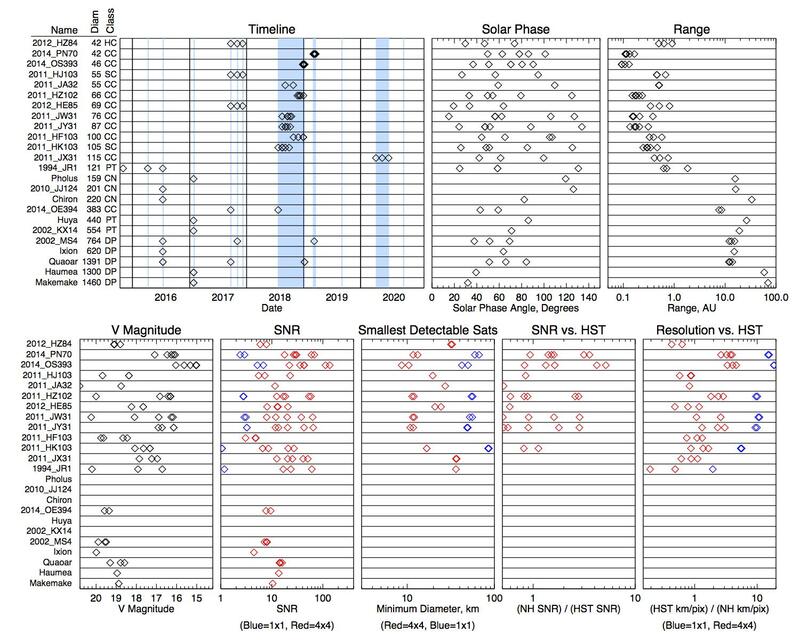 The New Horizons observations also show what may be the starting seeds of the extremely energetic particles that make up anomalous cosmic rays. Anomalous cosmic rays are observed near Earth and can contribute to radiation hazard for astronauts, so scientists want to better understand what causes them. The seeds for these energetic, super-fast particles may also help shape the boundary where the solar wind meets interstellar space. Anomalous cosmic rays have been observed by the two Voyager spacecraft out near these boundaries, but only in their final stages, leaving questions as to the exact location and mechanism of their origins. measurement of seed particles for anomalous cosmic rays in the solar wind. Filling in such a blank patch will help scientists better understand the way such particles move and affect the space environment around them, helping to interpret what Voyager is seeing on its journey. Since New Horizons is one of the very few spacecraft that has explored the space environment in the outer solar system, lack of corroborating data meant that a key part of Elliott’s work was simply calibrating the data. Her work was supported by the Heliophysics Research and Analysis program. She calibrated the observations with pointing information from New Horizons, the results of extensive tests on the laboratory version of the instrument, and comparison with data from the inner solar system. NASA’s Advanced Composition Explorer, or ACE, and NASA’s Solar and Terrestrial Relations Observatory, or STEREO, for example, observe the space environment near Earth’s orbit, allowing scientists to capture a snapshot of solar events as they head towards the edges of the solar system. But because the space environment in the outer solar system is relatively unexplored, it wasn’t clear how those events would develop. The only previous information on space in this region was from Voyager 2, which traveled through roughly the same region of space as New Horizons, although about a quarter of a century earlier. Now, with two data sets from this region, scientists have even more information about this distant area of space. Not only does this help us characterize the space environment better, but it will be key for scientists testing models of how the solar wind propagates throughout the solar system. In the absence of a constant sentinel measuring the particles and magnetic fields in space near Pluto, we rely on simulations – not unlike terrestrial weather simulations – to model space weather throughout the solar system. Before New Horizons passed Pluto, such models were used to simulate the structure of the solar wind in the outer solar system. With a calibrated data set in hand, scientists can compare the reality to the simulations and improve future models. Students at CU-Boulder, who built a dust counter for the New Horizons mission to Pluto, have been eyeing the data for decade now. And the results are showing the solar system really is pretty barren if you put aside the planets, rings, moons, comets and asteroids. The Student Dust Counter (SDC) found only a handful of dust grains, the building blocks of planets, when the spacecraft whipped by Pluto at 31,000 miles per hour last July. Data show the space environment around Pluto and its moons contains only about six dust particles per cubic mile, says Professor Fran Bagenal, who leads the New Horizons Particles and Plasma Team. Since its launch in 2006, SDC has identified a few thousand microscopic dust particles, the building blocks of both our solar system and the universe and which can give researchers clues about how the solar system was formed billions of years ago and how it works today. “CU-Boulder is the only place in the world where students could have built an instrument that eventually flew off to another planet,” says Bagenal. A lot of dust is on the horizon for New Horizons, which is now on the edge of the Kuiper Belt, a vast region thought to span more than a billion miles beyond Neptune’s orbit. the Kuiper Belt is believed to harbor at least 70,000 objects more than 60 miles in diameter and contain samples of ancient material created during the solar system’s violent formation some 4.5 billion years ago. “Now we are now starting to see seeing a slow but steady increase in the impact rate of larger particles, possibly indicating that we already have entered the inner edge of the Kuiper Belt,” says physics Professor Mihaly Horanyi, the principal investigator for the SDC. A new study involving Bagenal, Horanyi, CU-Boulder doctoral student Marcus Piquette and Southwest Research Institute (SwRI) postdoctoral researcher Jamey Szalay, who received his doctorate in physics from CU-Boulder last year, was just published in Science. The CU-Boulder dust counter is a thin film resting on a honeycombed aluminum structure the size of a cake pan mounted on the spacecraft’s exterior. A small electronic box functions as the instrument’s “brain” to assess each individual dust particle that strikes the detector, allowing the students to infer the mass of each particle. New Horizons is traveling at a mind-blowing 750,000 miles a day. 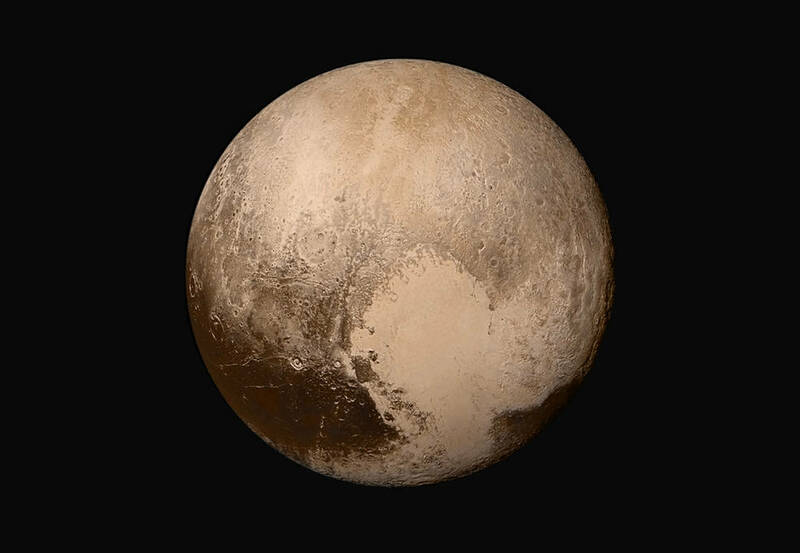 Images from closest approach were taken from roughly 7,700 miles above Pluto’s surface. The spacecraft, about the size of a baby grand piano, carries six other instruments. The next and final target of New Horizons is a 30-mile-in diameter Kuiper Belt object named 2014 MU69, which the spacecraft is expected to pass in January 2019. Funding for student dust counter came primarily through the Johns Hopkins University Applied Physics Laboratory, which manages New Horizons, and SwRI. LASP also has contributed funds to help pay students working on SDC. 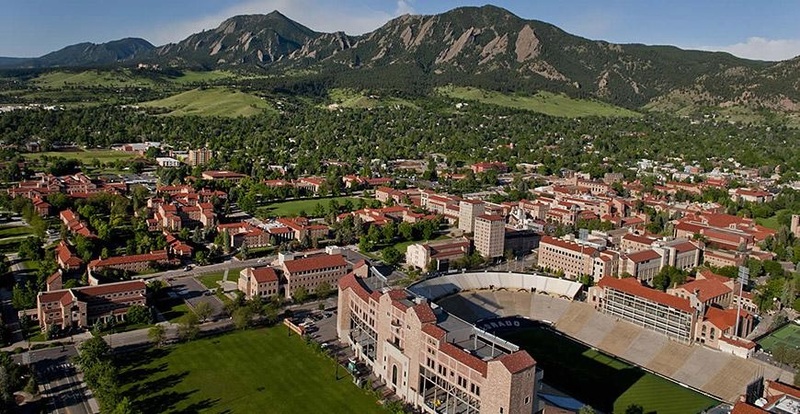 As the flagship university of the state of Colorado, CU-Boulder is a dynamic community of scholars and learners situated on one of the most spectacular college campuses in the country. As one of 34 U.S. public institutions belonging to the prestigious Association of American Universities (AAU) – and the only member in the Rocky Mountain region – we have a proud tradition of academic excellence, with five Nobel laureates and more than 50 members of prestigious academic academies. CU-Boulder has blossomed in size and quality since we opened our doors in 1877 – attracting superb faculty, staff, and students and building strong programs in the sciences, engineering, business, law, arts, humanities, education, music, and many other disciplines. 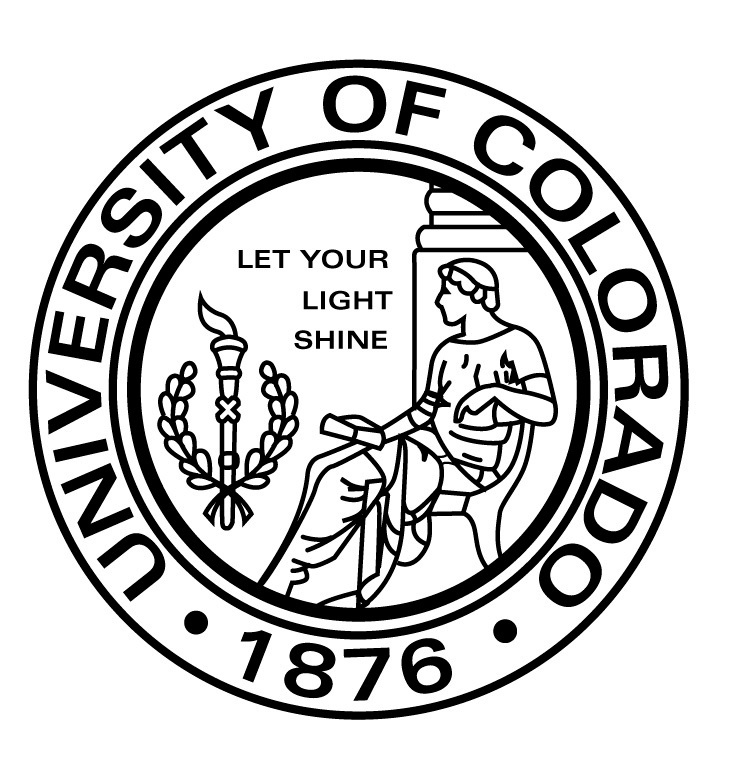 Today, with our sights set on becoming the standard for the great comprehensive public research universities of the new century, we strive to serve the people of Colorado and to engage with the world through excellence in our teaching, research, creative work, and service.